Last weekend, West Lombok hosted an event named Topat War Festival 2017 on Dec. 3. The festival aimed to strengthen the kinship between Hindus and Muslims in Lombok. The history of Topat War started when the Hindus came from Bali to Lombok in the 16th century. They traveled up to Lingsar Village, which was occupied by Muslims at the time. The festival was held at Lingsar Temple in Lingsar Village. Built in 1714 by Raja Agung Ngurah Karangasem from Bali during the Karangasem Kingdom, it is the biggest and oldest temple in Lombok. Moreover, the temple is considered a cultural heritage from the 18th century. The festival began with pujawali procession by the Sasak tribe and Balinese who have been living in Lombok for generations. 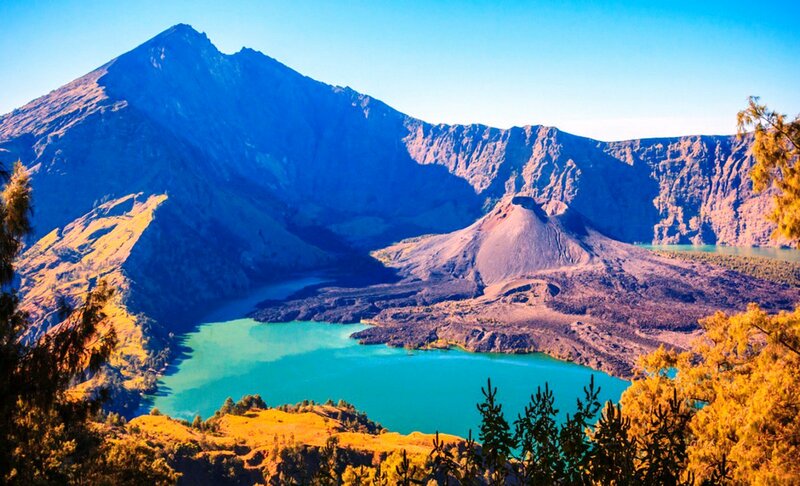 A day before, it hosted panaek gawe ceremony followed by mendak that called for spirits who rule Mount Rinjani and Mt. Agung by slaughtering a buffalo and gave offerings of nine snacks, fruits and beverages. This procession had been held since Nov. 27. After the Hindus were done with ngaturang bakti and ngelungsur amertha, the Topat War then began. It started with circling around the purwadaksina located in Kemaliq area. Figures from Sasak tribe and Hindus came together for this procession, which also featured batek baris dance and gendang beleq art.